If you're a regular Waze user, you're undoubtedly familiar with the times the app has tried to kill you with an impossible left turn. All too often, the directions will ask you to turn left at an intersection where there's no light or way to stop traffic, often encouraging people to make turns that go against all logic and self-preservation. Waze terms these "difficult intersections," which is a Silicon Valley euphamism if ever I've heard one. But at long last, Google will be making some changes to make life easier on the roads. DON'T MISS: How excited would you be if your iPhone looked like this? 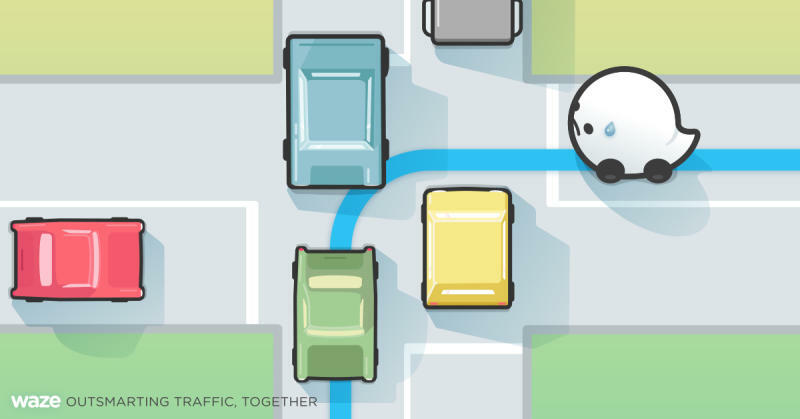 As Gizmodo reports, Waze is going to add a "reduce difficult intersections" option. It will either provide an alternate route, or use a series of right turns to ultimately go left. It won't be a perfect solution, and some intersections will remain -- hence, "reduce" difficult intersections rather than "avoid." The setting launches in Los Angeles today, where the app-maker has been working with LA officials to compile data on intersections. The city provided Waze with the locations of all intersections with lights, so that the developers could work out where the app was pushing people to turn left without any means of stopping traffic. It's a win-win for the city and for the app: drivers' lives are made less stressful, and reducing the number of dangerous left turns should lower accidents for both cars and pedestrians. If the solution can work in Los Angeles, where Waze is the most widespread and traffic is famously bad, it should be rolled out across the rest of the world in due course.